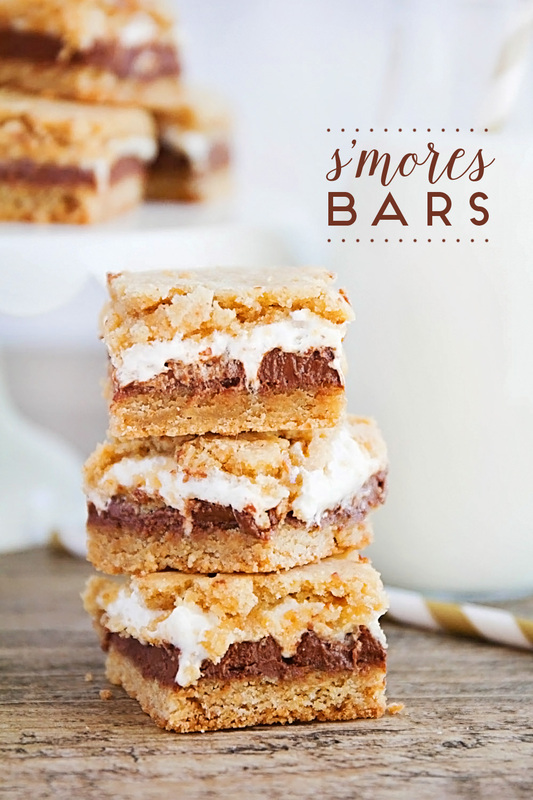 These delicious and indulgent s'mores bars are the perfect treat to enjoy all summer long! So, it turns out that moving is hard. We've moved half a dozen times since we were married, but moving to another state is a whole new ballgame. 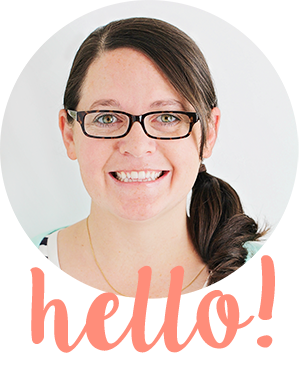 Last week I drove up to Portland with my husband and about half of our stuff, helped him get settled in and ready to start his new job, and then drove home to Utah to hang out with our kiddos and finish packing up our apartment here. We'll be moving the rest of our stuff (and the whole family) up to Portland in about a week and a half, and I'm currently alternating between exhausted and overwhelmed. 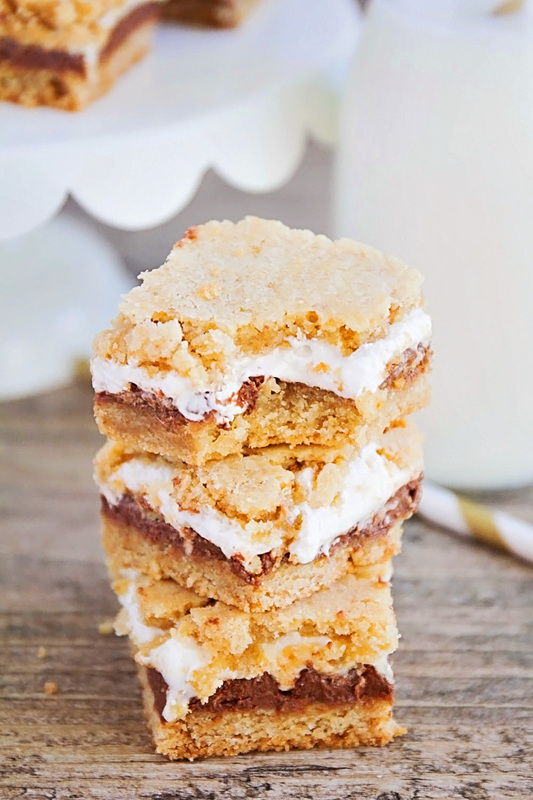 :) One thing that always helps, though, is a good treat, and these s'mores bars are just that! I made them for one of my husband's last shifts at his job, to share with his co-workers, and they were quite the popular treats. They have a graham cracker cookie base, topped with Hershey's chocolate and marshmallow cream. They're sort of a hybrid between a cookie and a candy, and all-around fantastic! They're gooey and indulgent and one of my very favorite treats. 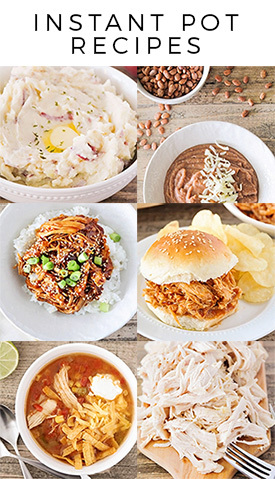 Even though we're trying to finish off the food in the pantry and freezer before moving, I may just have to go buy all the ingredients to make these again, because they're just that good! Preheat the oven to 350. Line an 8 x 8 pan with parchment or spray with cooking spray. In a large bowl or the bowl of a stand mixer, beat together the butter, brown sugar, and sugar. Add the egg and vanilla, and beat until smooth. Add the flour, graham cracker crumbs, baking powder, and salt, and mix until combined. Pat half the mixture into an even layer in the prepared pan. Press the Hershey's bars into the dough, then spread with the marshmallow cream. Top with the remaining dough in an even layer. (I found it most helpful to roll the dough out between two pieces of plastic wrap, then carefully place it on top of the marshmallow cream.) Bake 30-35 minutes, or until lightly browned. Let cool before slicing.